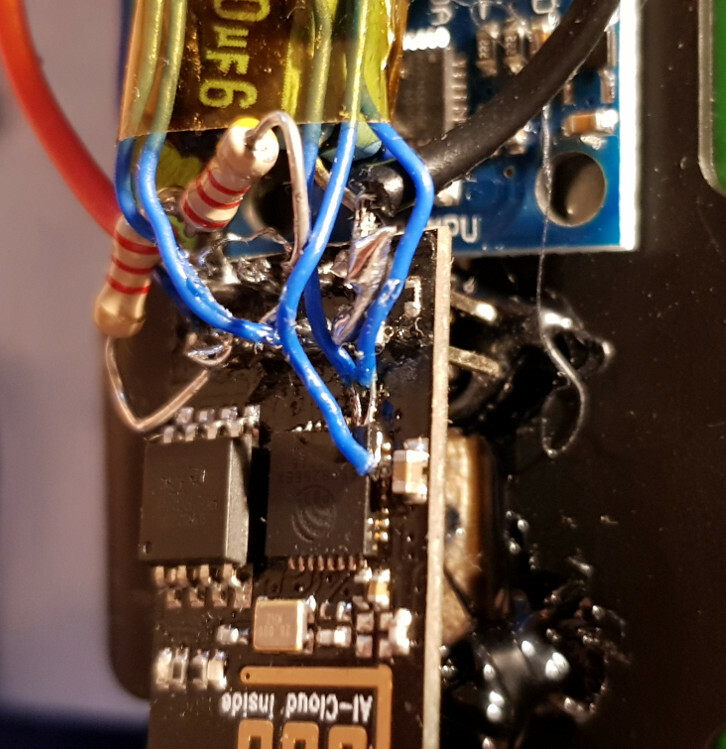 Definitely earns extra points for soldering directly to the esp 8266 pins. I’ve tried several times to make inverted pendulums and once to make a balance bot. Don’t hire me to make balancing things. Segways should have that mode, too. Much more entertaining than a “balancing” robot. I’d put something on the top to raise your center of gravity. Like a hammer. That way the head banging mode will be extra entertaining! I love the rigid foam insulation as “bumpers” in case it falls over.